This is height of ignorance ! 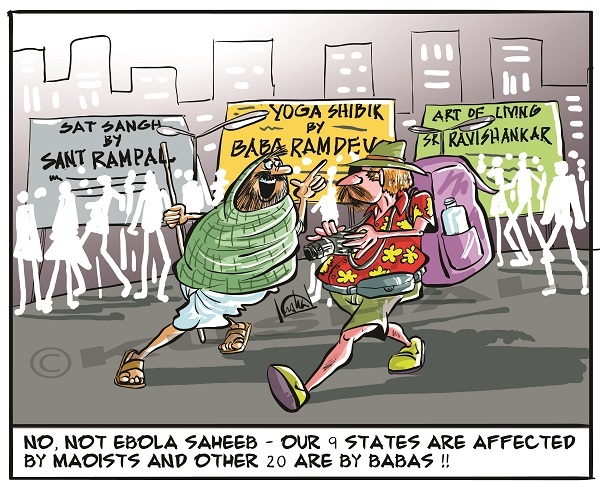 One cartoon that equates Rampal, Baba Ramdev And Sri Sri Ravi Shankar !! Can Rampal be equated with rest of the two ? Cartoon is such a powerful medthod of cummunication, and I deplore that boloji.com has facilitaed spread of this misconception to so many readers. Dr Rama Rao vadapalli V.B.